Using the program, you can enter your Minecraft username, and it will fetch your UUID from the Mojang servers. There is not much use for this, however, I just wanted to prove to those people who do not believe in UUIDs, that they do exist.... The account after purchase is system wide, universal, PC/MAC/, and WINDOWS all systems. This account can modify the shape, the name of the game, only the mailbox can not be modified Email and security questions cannot set/change! Go to cracker and first open your user document and your password document Step 6. (How it works) It works by going to one username and testing all the passwords on it, if it doesn't work it moves to the next user and re-trys it.... Your subscription can be managed by the user and auto-renewal may be turned off by going to the user's Account Settings after purchase. There is also a button in-game that take you to these settings. If you cancel after your subscription has activated, you won't be refunded for the remaining active period of the subscription. Home > Minecraft Accounts > _EMAIL CHANGEABLE_ SALE! 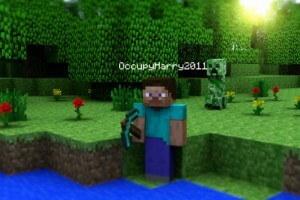 Minecraft Premium Account PC/MAC CHANGE Username,Skin,Password,Security Questions LifeTime Warranty! +Windows 10 Code how to change my nat to open windows 10 Go to cracker and first open your user document and your password document Step 6. (How it works) It works by going to one username and testing all the passwords on it, if it doesn't work it moves to the next user and re-trys it. Go to cracker and first open your user document and your password document Step 6. (How it works) It works by going to one username and testing all the passwords on it, if it doesn't work it moves to the next user and re-trys it. You can get back onto a site by changing your IP to get past the servers. This will only work if your IP is banned. If your username is blocked directly, you will have to find another way. This will only work if your IP is banned.